The goal of many machine learning algorithms is to adequately identify the informative biomarkers in the biological samples useful for predicting disease outcome. Several algorithms have been proposed to perform this task using high-dimensional genomic messenger Ribonucleic Acid (mRNA) data. High-dimensionality poses serious problem in statistical analysis in terms of parameter estimation and inference. To address this problem, a powerful method has been developed called Random forest. 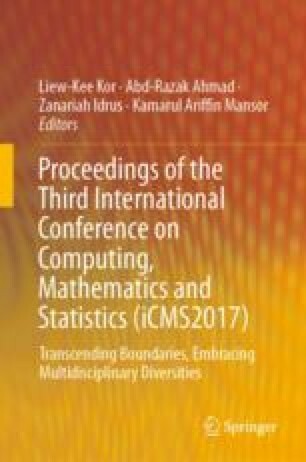 Random forest was able to tackle high-dimensionality problem but it fails because it’s more of computer program than a statistical learning method thus uncertainty in prediction cannot be quantified. In this paper, we develop Bayesian Random Forest (BRF) model for the classification of high-dimensional mRNA data. Bayesian procedures are the emerging solution to most applications of statistics in the recent time and in fact it has the least error rate in theory. In addition, they give appealing results in terms of parameter uncertainty, model uncertainty and data uncertainty. BRF model fitting and inference were achieved via Metropolis-Hasting (MH) MCMC algorithm. The model strength was illustrated using bake-off of 10 different mRNA cancer datasets. Results from data calibration established appreciable supremacy over competing methods. This work was supported by Universiti Tun Hussein Onn, Malaysia [grant numbers Vot, U607].